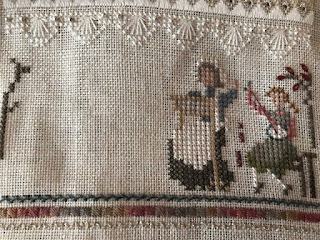 Rocky Mountain Stitcher: Victoria Sampler Heirloom Stitching Sampler pt 4 update. 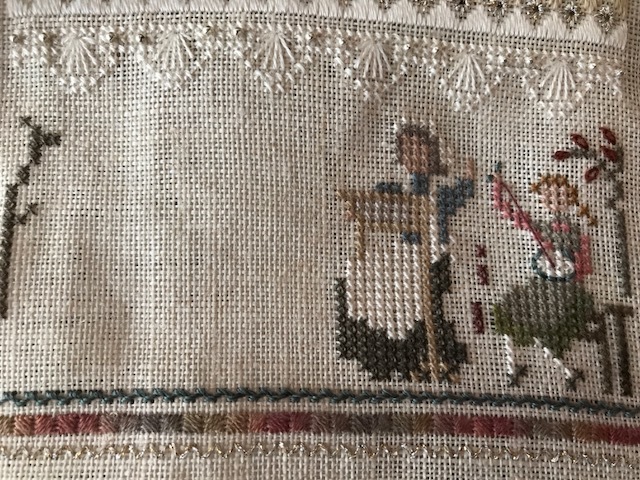 Victoria Sampler Heirloom Stitching Sampler pt 4 update. My Friday update. Got my little girl and Grandma and right tree completed. Hope to get rest of section 4 completed this weekend.